The year ahead will be different than the year we’re finish up. Tactics that worked a year ago, could cause penalties a year from now. The Raleigh SEO Meetup decided to ask two of the most insightful professionals in the business to take questions and talk about what we should expect in 2014. 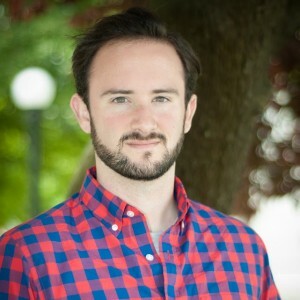 Joe Hall is a Senior Marketing Analyst at Internet Marketing Ninjas. n the past Joe has owned and ran several internet brands which has given him the unique perspective of a business owner. This experience translates well to clients that require strategies that go beyond the traditional agency point of view. Joe works closely with the client analysis team to identify critical caveats to marketing initiatives and strategies. Using a diverse background in web development, SEO, and social media; Joe is able to advise clients on superior marketing campaigns and tactics. John is the Online Marketing Manager for HotPads at Zillow. From June 2011-September 2013, John worked at online marketing agency Distilled in New York City, fulfilling many roles including senior consultant, team lead, and office head. As an online marketer, John has experience working with clients of all sizes, from VC-backed startups to international corporations. He takes pride in a proven track record of working with clients to increase traffic from inbound channels, including email, social, and SEO with a focus on important business aspects such as increased leads or revenue. The format of this month’s meetup was to let people ask questions that they need answered going into 2014. There was no guard rails provided, the group could really ask anything they wanted. The questions ranged from the beginner type to advanced SEO stuff. Start the video below and listen to the great information shared by two of the smartest internet marketers on the planet. Below, you’ll find the video and some time stamps to help you find what you’re looking for. This is every website’s achilles heel. There are tactics that used to be ok, but over time, they not only fall out of favor, but also become detrimental to your ability to rank. Around 3:00 minutes in, Joe Hall is the first to say that traditional link building has become more complicated. It’s probably best to stop building links the way you did a few years ago. He goes on to say that link building with highly valuable anchor text is even more dangerous. At 4:31 Joe reminds us that more than ever, it’s going to be high-quality links that will set your site apart from the competition. John Doherty jumps into the discussion and at 6:12 says that what he’s seen is that content written just for keywords is not ranking like it used to. At about the 7:00 mark, John also mentions that content with no social signals supporting it is also finding it harder to rank well. Joe comes back at 7:40 and reminds us that Matt Cutts (Head of Google’s web spam team) has said over and over again to avoid over optimization in all forms. How do I get high quality links? At the 8:28 point in the video, I ask the panelists how a small business should go about acquiring high quality links to their site. It’s probably one of the most common questions I hear at the meetup. Joe and John knock this question out of the park. 9:18 – John suggests engaging with the local community. This sounds like a no brainer, but listening to John’s answer helps you see the opportunities that your probably missing. 10:47 – Joe explains the power of in-person networking. When you are meeting someone in person, you are then only 1 step away from getting a link. Being an expert in your field only matters once others know you have a website. 12:40 – John mentions passive opportunities such as wearing your company t-shirt so that people know you have a website. Make friends. Friends want to help each other. Connecting with the right people is very important. How should a SMB spend it’s very limited time to rank? At 14:30 Lisa Sullivan asks a great question about figuring out how to spend your time. Joe jumps up (15:30) to answer this one since he started out in the real estate niche. Joe talks first about making heroes of the brave, using people who are doing it right to inspire the laggards. At 17:41 Joe mentions ActiveRain, a super powerful real estate site that can help you stand above your competitors. 18:30 – Joe talks about how smart it is to leverage Facebook as a powerful domain to help rank for your name (or business name). 19:30 – John agrees that the only way to crowd the top of the search results for your brand is to leverage other powerful sites for your name. At the 20:00 minute mark, John says something profound to anyone doing content marketing. It’s not just creating content, it’s creating the right content. If what you’ve been doing isn’t working, try something else. It’s easy to say, but just as easy to forget. 21:00 John recalls how powerful the association of Distilled and SEOmoz was for them. Distilled helped built it’s brand by leveraging another player in the marketplace. Can we finally say Google’s PageRank is dead? It takes Joe no time (23:14) to assert that he doesn’t use PageRank. He proudly says that in the time he’s been with Internet Marketing Ninjas the phrase “PageRank” has not crossed his lips. By 24:46 Joe has gone on to say that tracking PageRank is a waste of time. Joe would rather look at metrics like organic traffic, the number of links a page/site attracts and how its ranking. The bottom line for any business isn’t ever PageRank, it’s revenue (26.08). John jumps in at 26:24 and asks “Page what?”. At 26:35 John brings up what Matt Cutts said at the PubCon conference that the pipeline for updating toolbar PageRank was broken and there are no plans to fix it. The last update to public PageRank was February of 2013. John says (27:38) the metrics he uses are the moz.com metrics (including open site explorer), Majestic SEO’s metrics and for links he uses Link Research Tools. He focuses on Moz’s Domain Authority and Page Authority. He also relies on Search Metrics for a snapshot of how a site is currently performing. A half our in the first questions comes up about what is the best SEO plugin for WordPress (29:11). The question is actually specifically about the WordPress SEO plugin developed by Joost de Valk. John always recommends the WordPress SEO Plugin and admits that he uses it for all of his WordPress sites. Joe 100% agrees and mentions that Joost is an awesome developer and supports the open-source community. 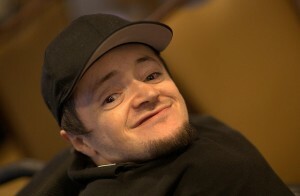 Joe also uses and supports the WordPress SEO plugin as a great choice. The next question (30:36) revolves around how do deal with the instant and inordinate amount of comment spam that shows up as soon as you publish a WordPress site. Joe mentions Akismet. It comes in the default WordPress installation and does a very good job at identifying and blocking spam. By 32:45 Joe mentions another option is to just disable comments all together. John mentions a half-way measure (33:17) which is to turn off comments after a certain amount of time. He also mentions that having people sign-in to have to leave a comment will cut down on spam. I’ve found that an additional plugin called Cookies for Comments eliminates the robotic spam. At 34:11 a follow up question is “should you link out to other sites from your blog? John advises to link freely and often. Link to anything your reference that your users might find helpful. At 35:03 John drops a Pro Tip, links make friends. At 35:15 Joe mentions that they always recommend to their clients to link out. Joe also gives a Pro Tip, link to high quality content. What should a brand new site do to rank? A question from someone joining via the Hangout on Air shows up at 36:53. John offers up a simple yet effective Pro Tip, start writing content and ask your friends to share it. Joe agrees that social sharing is a great start, but also have realistic goals. Nothing happens in a day. John reminds us that there is no shame in asking friends to help promote good content. Social Signals and Long Term Value? Mark Traphagen decided to ask a question (38:38) about what Matt Cutts said about social signals having a long term value during his PubCon keynote. Joe says you can parse it two ways, but how he thinks about it is not to use social metrics as a barometer, but use the platform to gain more targeted traffic and conversions. John thinks Google is building their own person map of the web via Google+, and actually counts on people like Mark and A.J. Kohn to keep him up to date on all that stuff. At 41:55 John gives up another Pro Tip, that posting new content to Google+ can help it get indexed quicker. John also mentions (43:02) that social signals can impact long-tail queries that are impacted by QDF. At 44:00, Joe reminds us that Google is never actually transparent, so they will continue to say publicly that social signals are not important while they figure out how to use them. Google knows that when they finally say they’re used, SEO’s will spam them and Google wants to have the kinks worked out before that happens. Great question at 45:00 about what should business owners do to help figure out what they should do now that Google has taken away their free keyword tool? John announces that he’s a big fan of Grep Words. He also likes to use the tools built out by the team at SEO Gadget. Joe mentions a post he recently wrote on this very subject called 12 Free Keyword Tools To Replace Google’s Keyword Tool. Joe also mentions that he uses SEM Rush almost every day. John jumps back in (47:10) to suggest Ubersuggest. There is a follow up question (49:10) about the paid version of Word Tracker. Joe says he’s never used the paid version of the tool and doesn’t much about it. John also says he doesn’t use it, but knows that the people that built it are wicked smart. Carter Cole, one of the developers of Grep Words, along with Russ Jones at Virante talks about what Grep Words is and also some of the cool extensions available for it that integrate with some common SEO tools. Karl Sakas from Agency Firebox asks about a client that has needs to rank locally across many different cities (51:49). What’s the best way to move forward with a strategy like that? Joe agrees with John, but adds an important caveat (54:38). Don’t be afraid to be creative, and by creative he really means “crazy”. You need to set yourself apart from the rest of the market. A good example is the Dollar Shave Club. That guy can now rank for any local market because he’s built up so much brand equity and inbound authority. Joe then drops some great advice (57:00), Pro Tip – go for a powerful brand presence and don’t get bogged down in the details. Is On-Page Optimization Still Important? As the first hour was drawing to a close, Bobby Carroll from Dakno Marketing asked a great question (58:27), are the traditional on-page factors still worth getting right in 2014? Joe immediately answers, “absolutely”. Joe also mentions taking on-site to the next level by implementing schema.org markup. Joe believes that good, solid on-page SEO is the foundation for all your other efforts. John agrees. He reminds us that the bottom line is that Google will always need to crawl your site, so make it as easy as possible with as much helpful data as you can feed it. John also points out that a smart site architecture is essential. When John starts looking at a new client site, his first step is to try using the site, does it make sense and is it easy to understand? We are now entering hour 2! Maria Mayorga from Coalmarch Productions came up to ask (1:03:34) about what the top three local ranking factors will be in 2014. Joe immediately jumps to your involvement in Google+. He admits that local ranking is an odd fish, because a big part is how close your business is to the centroid (usually the city center, like city hall or the main post office). The rest of the normal ranking factors are also in play as well. Joe then explains that users searching on a mobile device, they become the centroid. There’s no way to optimize for that one. John adds (1:07:00) that for anyone who wants to keep up to date on local search needs to pay attention to David Mihm. John also talks about the power of reviews. Reviews on Google+ as well as other places. John then explains that for a local business it’s important to think beyond search (1:08:10), make sure you’re on Yelp and OpenTable and all of the other local places people look for local merchants. This question was interesting, and I’ve been thinking about it since, but that’s for another blog post. The question isn’t about reviews about your business, the question is as a reviewer – is there anything to becoming a power-reviewer in the eyes of Google? Joe spends a minute talking about the perils of doing self-reviews or fake reviews for a business (astroturfing). He refrences the recent law suit up in NY State that caught and fined 19 companies for posting fake reviews. Joe also warns (1:12:12) against “optimize” review gathering. That too is against the rules and can cause Google to stop accepting new reviews from a business. Do Keywords in Your Domain Name Help? At the 1:17:12 mark, another question from the chat room was asked about the importance of target keywords being included in your domain and if a .com domain ranks better than any other TLD? John answers the first one with a “yes, but”. John talks about the change Google made that lowered the impact of having an exact match domain (EMD). John doesn’t see a ranking impact of using a .com, but talks about the trust that we as humans put in a .com over some of the others. John advises people to go for a memorable domain first. Joe agrees and explains that easy to spot, commercialized EMD’s are seen as an attempt to manipulate the search results, and thus trusted less by Google. At 1:22:38 John jumps back in to remind us that we’ve been taught to think everything ends in .com, so using another domain is asking someone to remember something different. Is Adding Backlinks to Social Shares Helping? Another question from the chat room (1:23:30) asks if the practice of adding links into the descriptions of Flickr photos or YouTube videos? Joe answers quickly, “not really” from a link building perspective. But if the content is something amazing, the link can drive traffic, which is a good thing. So it really depends on what you’re measuring. John immediately offers up The Art of SEO by Rand Fishkin and Eric Enge is a good one, a classic even. He also like Web Marketing for Dummies that Ian Lurie contributed to. John also mentioned the Moz blog, the Seer Interactive blog, Search Engine Land, Search Engine Watch, Kaiser the Sage, Ross Hudgens and even www.johnfdoherty.com. Joe adds (1:25:53) some of his choices. He likes the book Search Engine Optimization: Your visual blueprint for effective Internet marketing by Kris Jones. When it comes to online resources, Joe likes Search Engine Roundtable run by Barry Schwartz and SEO Book by Aaron Wall and last but not least are the IMN sites like Webmaster World, SEO Chat and cr8asite forums. John adds a couple more at 1:27:43 including Neil Patel’s Quickspout Social forum and Martin MacDonald’s Web Marketing School. At 1:28:30 Ken Williams asks a question that I feel will become a bigger and bigger issue in the future. How do I optimize my cause on a crowd-funding site so that more people will support me? Ken’s company is using Indiegogo to help fund their More Than 6% movement and has only been having success via straight social sharing and wants to know how to improve their visibility on the site itself. Joe mentions a Charlotte agency that specializes in promoting crowd-funding projects called Command Partners. Joe explains that they try to really push engagement into the mainstream media including press releases. He goes on to say that most crowd-funding sites reward the campaigns that are working to make themselves look good, so raising more money helps you get more exposure – a classic catch-22. John agrees with Joe and says that in the end a holistic marketing approach is how you’re going to win. John is also a fan of old-fashioned relationship building to get a leg up. Sometime having connections in the right places can make all the difference. Don’t be afraid to connect with people at these places and ask for a favor, especially if it can be a win-win. Ken follows up (1:35:17) with a question about Jamplify where he’s using it to give away prizes to encourage engagement. John hasn’t had any experience with Jamplify, but does want the prizes! He encourages Ken to take a prize like the autographer Justin Beiber guitar and contact Beiber fan sites and let them help you promote the contest Pro Tip. Where Do I Start with Schema Markup? Another question from chat (1:37:12) was where should a typical e-commerce site start applying schema markup? Joe takes this one and explains that schema is structured markup that helps robots better understand what the data is on the page. The search engines like this, because the can enrich the normal search snippet to show additional date, like reviews, prices, hours of operation, author photos, navigational breadcrumbs, etc. The place to start is on the product pages. Product pages are where all your best data is to enrich your search result snippets. Review stars, price, images etc. John agrees. The power of schema is that it’s telling Google all of the associations between your page and what people are searching for. So start on the product pages. At 1:42:17 from Ryan Huser from Ayima asks a great SEO nerd question. How long between submitting a disavow file should you wait to file a reconsideration request for a client under a manual penalty? John says that he usually submits a re-inclusion request the day after submitting a disavow file and has had good success. Joe says that every case is somewhat different, but he likes to wait a bit after submitting a disavow file so you can chronicle the effort you’ve made to clean up your mess. Warning at 1:49:00 where Joe mentions that Google has started that once a link has been disavowed, it’s gone for good. You can’t ever un-disavow it. So be careful. John jumps back (1:49:24) in and mentions the work that Cyrus Shepard has done to demystify the Google disavow tool. He’s also disavowed all of the links pointing at his blog to see what would happen and the traffic to his site plummeted. Cole Watts, and SEO at Thee Design asks a popular question (1:51:34) about what SEO tools are used the most and which ones are recommended. John lets Joe take this one since he’s agency side. Joe admits that they build a lot of their own proprietary tools. Joe likes Raven’s SEO Tools. Raven’s toolset is great for consultant level or in-house. Moz is great for business owners. Search Metrics has some really interesting tools. Citation Labs is great for link building. Webmaster World has a bunch of free tools and so does Internet Marketing ninjas. Joes best advice is to think of the data you need and what you need to do with it, and then choose the tool. It’s not the tool, it’s how an SEO applies the tool that makes the difference. John also recommends Search Metrics, Raven and Moz as well as SEM Rush. John also mentions the redirect checker chrome extension from Ayima. The tool John relies on the most is Screaming Frog. Two additional ones I added at 1:56:37 include Authority Labs and Richard Baxter’s awesome Excel hacks. The final question (1:57:13) was a straight up prediction question. What do the next 12 months look like? Joe takes this one first. You can only figure out where Google is going by looking at where they’ve been. Everything is becoming more nuanced. There are probably close to 400 search factors in play at any one time. The results are in all kinds of different states. Everything is in flux. 2014 will get more nuance and more personalized. Pro Tip from Joe at 1:59:15 – Google’s Hummingbird update changed everything. Your query is now being interpreted and manipulated before it’s submitted to the engine. This is huge! Joe believes that things are going to be less about ranking factors and more and more about aligning your site to what your audience want and need and becoming the authority in your niche. John thinks that structured data and semantic markup and they are under-valued, but even bigger is mobile. John is convinced that so many people are now using their mobile device as their primary connection to the web, that people and businesses that get that and are embracing this are now winning. 2014 is the real tipping point for mobile, finally. He points out that on Zillow, they see weekend mobile users as 70% of their traffic. After 2 hours in the hot seats, we finally released Joe and John. Have you ever wondered where all the SERPs on the web come from? They're created by SEO Bot. 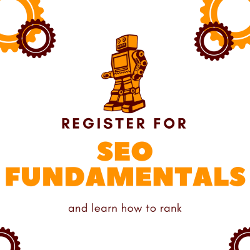 If you want to know how to do SEO - you'll want to learn from SEO Bot at the Raleigh SEO Meetup. I was glad to see you mention structured data in the last paragraph as I believe Hummingbird has moved us a tad closer to the Semantic web model. I just wish there was one standard. What to go with? Twiiter Card, Dublin Core, Schema, RDFa, etc, etc..? For testing and learning purposes I have implemented them all (not without headache), frustrating, but potentially fruitful! All good information and tips shared in this post and first of thanks for that. I feel great that you shared couple of very good books in this post. I read couple of them and few to be explored. As John said at the end of the day Google has to crawl our site so making it structurally good and crawl-able is the primary and an important requirement for the overall SEO. All the points are really actionable and should be taken care of. Additionally I would like to add that we have to make use of LSI (Ubersuggest is mentioned) keywords in our contents for better ranking, especially after hummingbird.